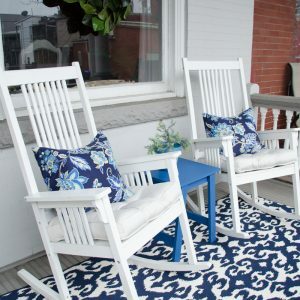 Spring is upon us and it’s time to spruce up your curb appeal and get ready to sip some sweet tea with company on the front porch! 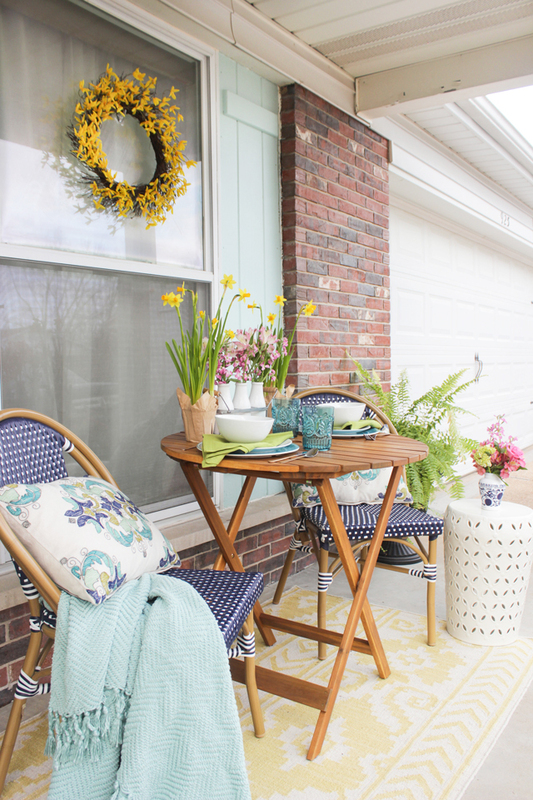 To help you get your entryway ready for spring, let’s explore some obtainable porch decorating ideas from some of our favorite bloggers. Many of these beautiful designs have tutorials for you, so be sure to click on the blue/gray links to be taken to each source. Happy Spring! Adding a bar cart to your porch is a great way to serve guests a drink in the warmer months and add some cute accessories during the colder ones. 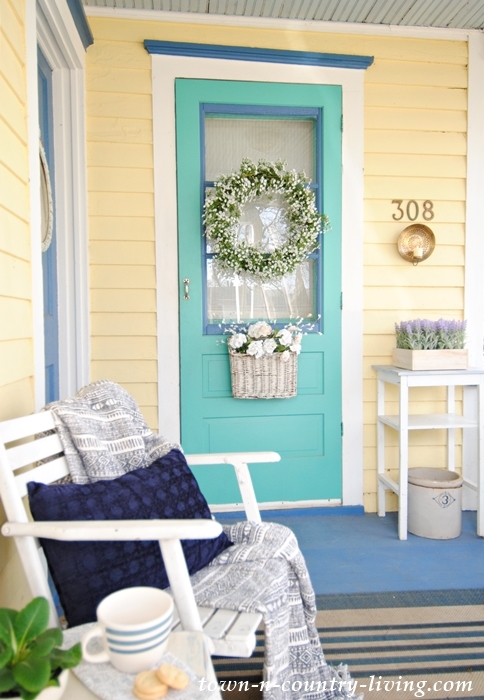 When decorating your porch, keeping things symmetrical on either side of your front door always works! 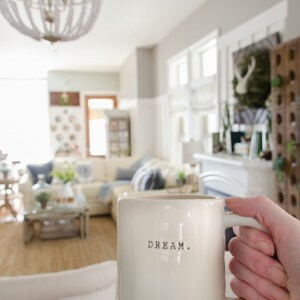 Using decorative orbs on top of lanterns is a fun way to add some maintenance-free character to your space. 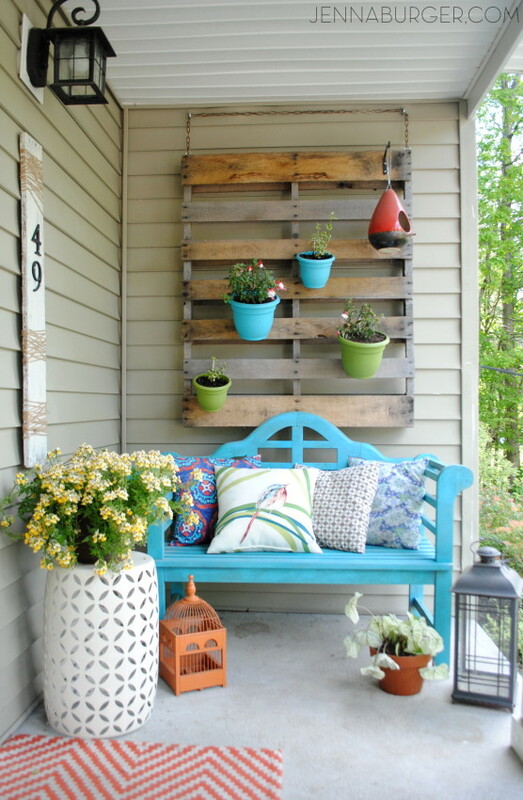 Attaching pots to a free wood pallet is an inexpensive way to create a fun vertical garden. Using a neutral color palette for your furniture and cushions allows you to interject pops of color for each season. 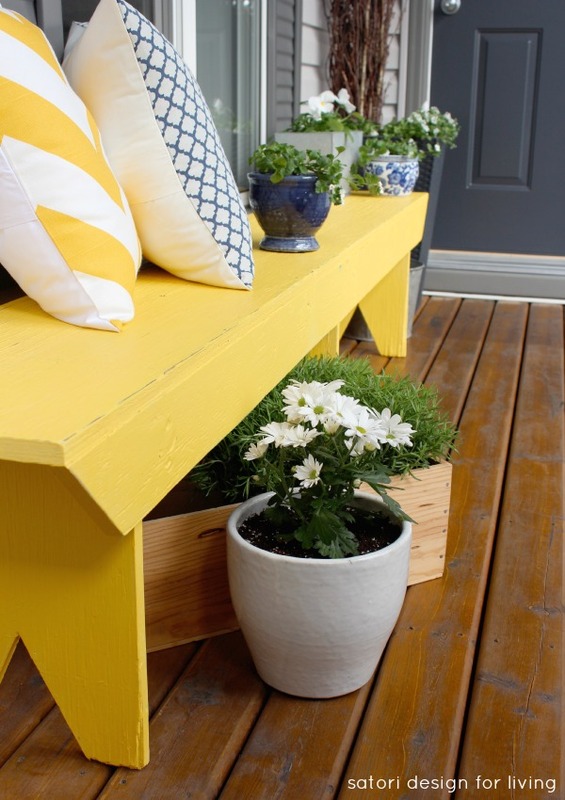 Even the smallest of porches can look amazing with the right planters and attention to detail! 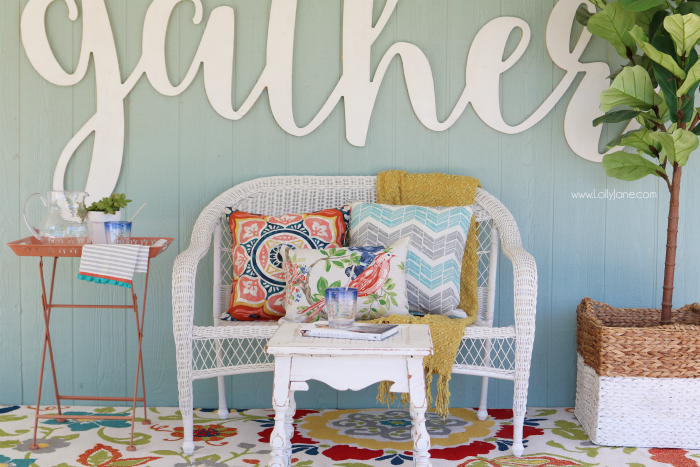 Adding an oversized-sign to the porch is a whimsical way of welcoming your guests! 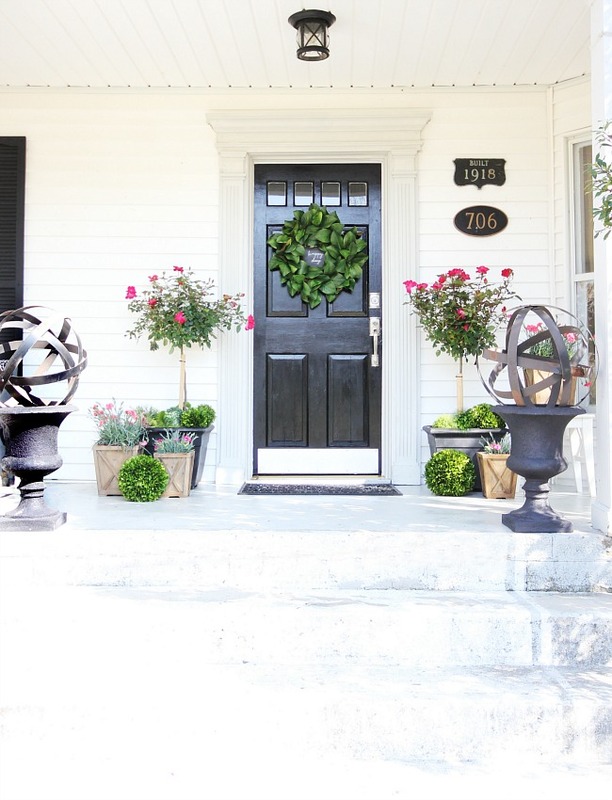 Think outside the wreath when decorating your front door! 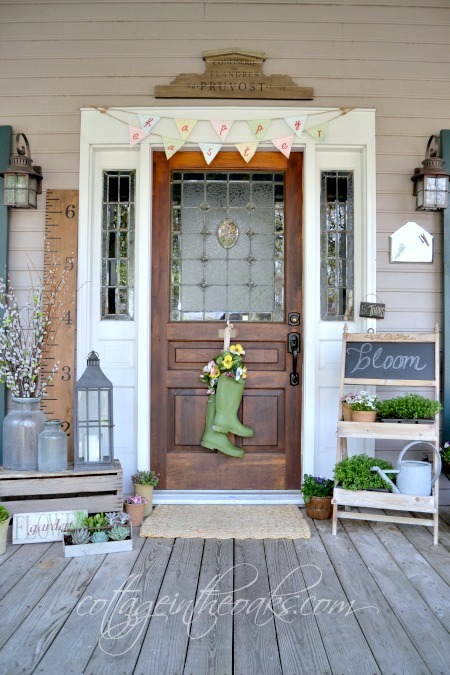 Rainboots filled with faux flowers are an adorable and affordable spring door decor idea. 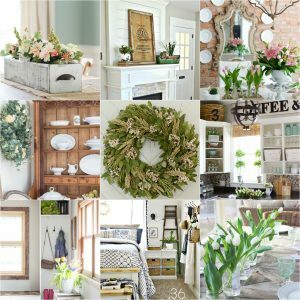 For more “outside the wreath” ideas, you might want to check out 36 Creative Front Door Decor Ideas. 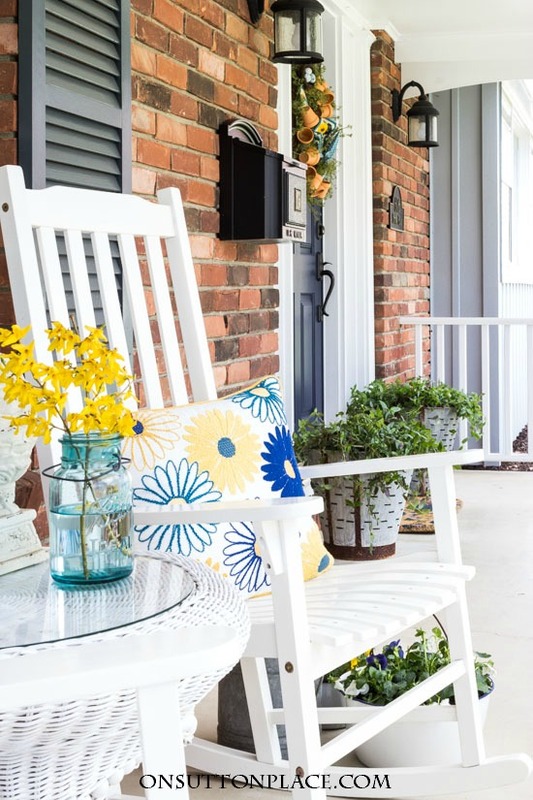 Perk up your porch with pops of vibrant color. Colorful toss pillows and accent furniture are a great way to interject color. 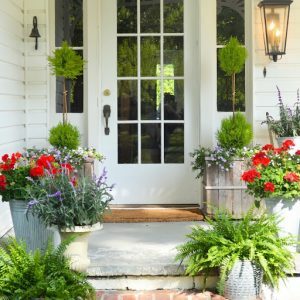 Anita from Cedar Hill Farmhouse has some great tips on how to make your front porch a french country destination that you can’t wait to visit! 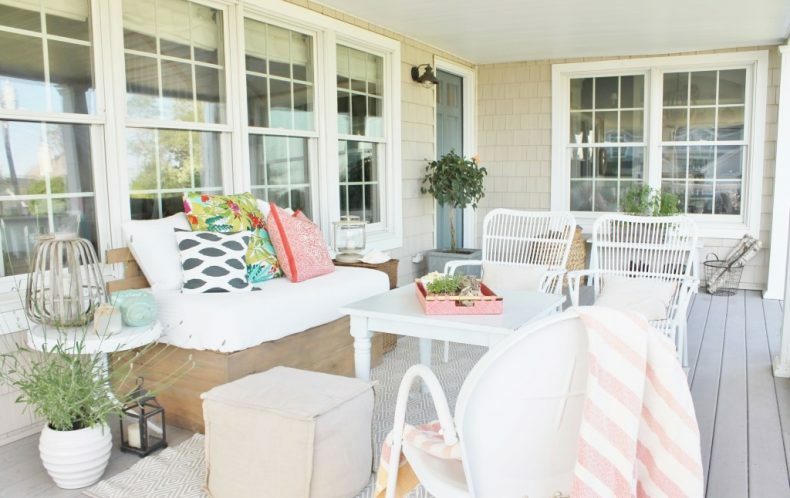 If you’re looking to add some tropical flair to your porch or patio, consider adding accessories in a tropical color scheme. 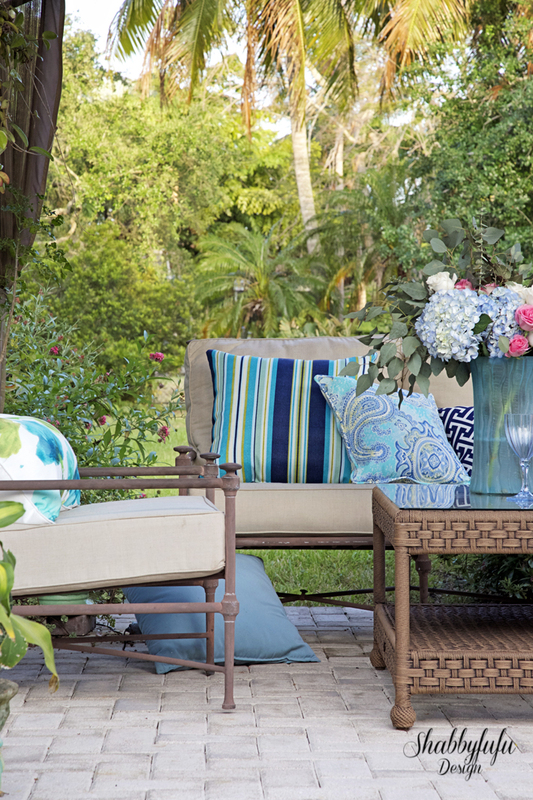 Cerulean blues, navy, aqua, and tropical greens are wonderful options for a relaxing oasis. Hanging a vibrant wisteria wreath on the window creates a focal point and grounds this cute bistro area. 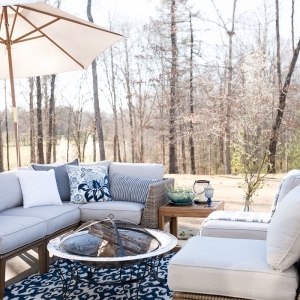 Using outdoor rugs are also a brilliant way to ground a space and make it feel like home. 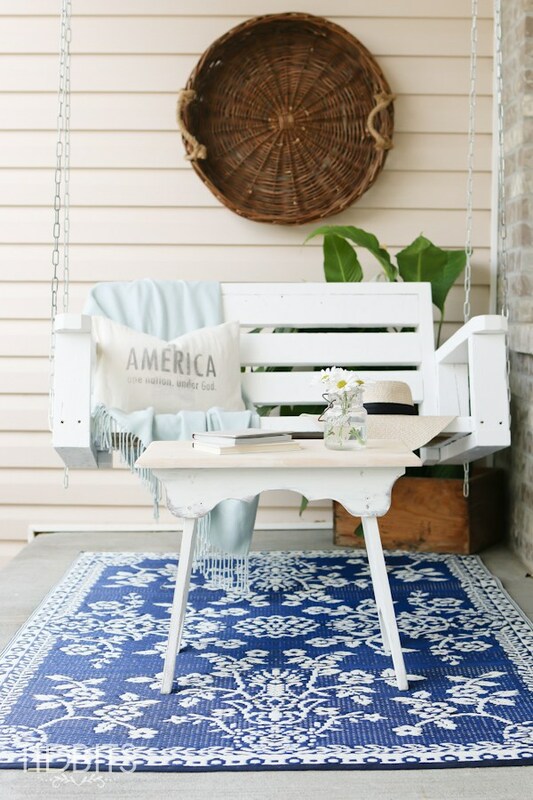 Porch swings are what porch dreams are made of! 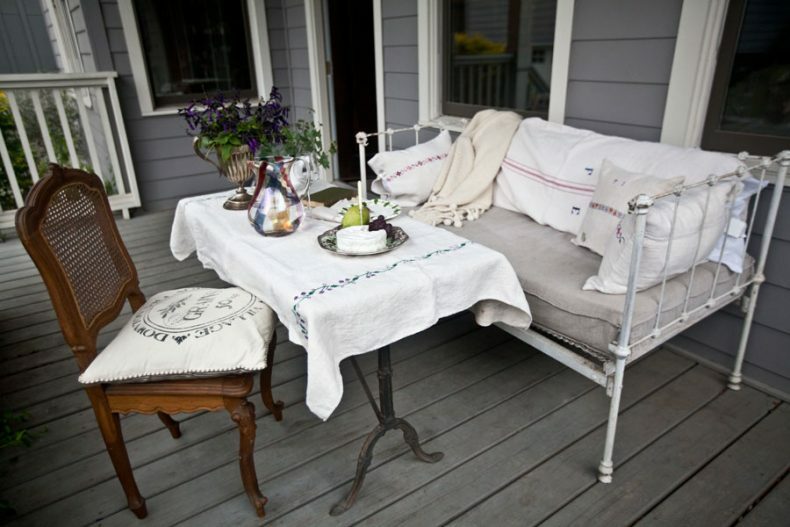 Add indoor elements to your porch swing such as a cozy throw and toss pillows to make your porch swinging a more enjoyable experience. 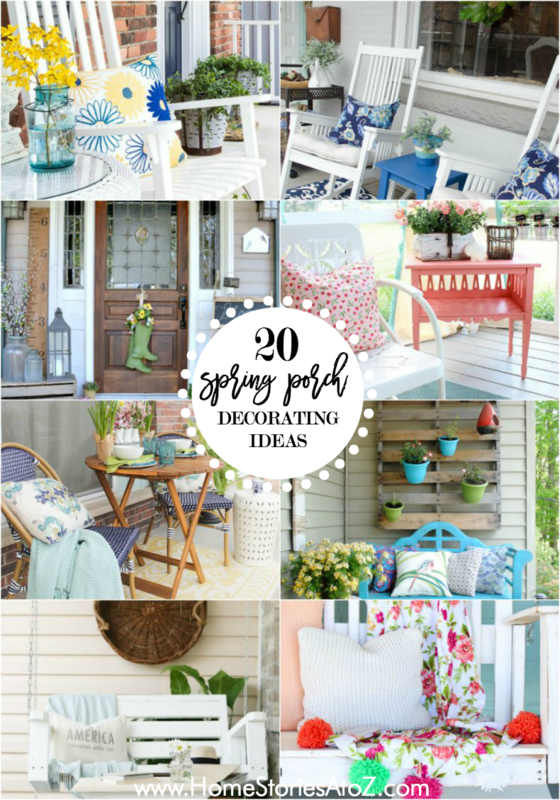 Take cues from your home’s exterior color palette when planning your spring decor. Complementing what you already have will create a more pulled together look than trying to compete with it. 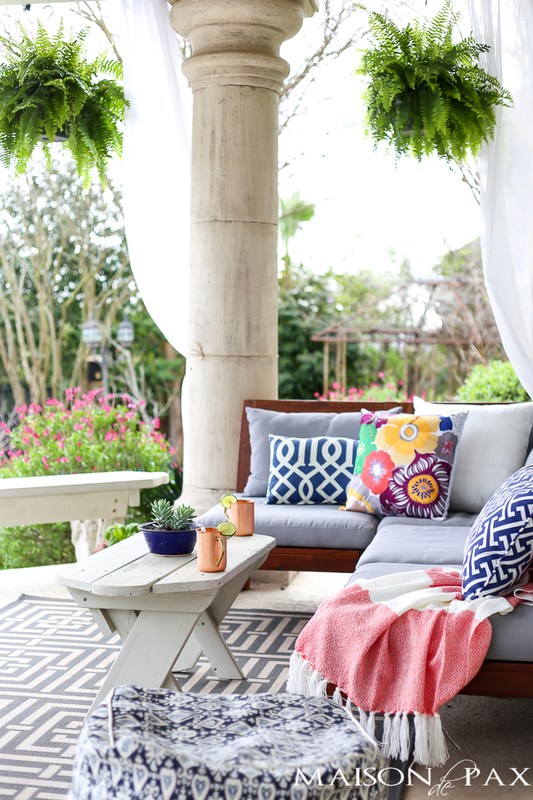 Adding an outdoor pouf to your patio or porch is a great way to add additional texture that can act as a footstool or additional seat when needed. A vintage or homemade bench painted in a punchy color is an attractive way to add seating to a narrow space. This coral table by HYMNS AND VERSES is also adorable! 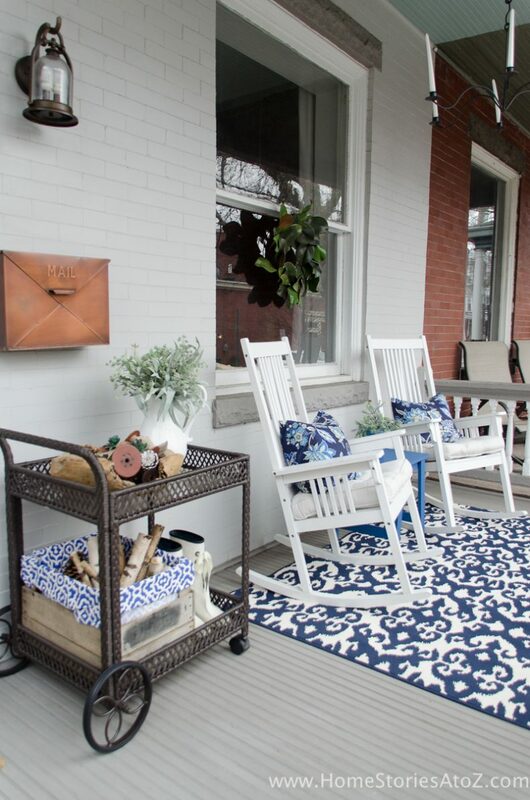 A place to sit and a place to set a drink are essential to the front porch. 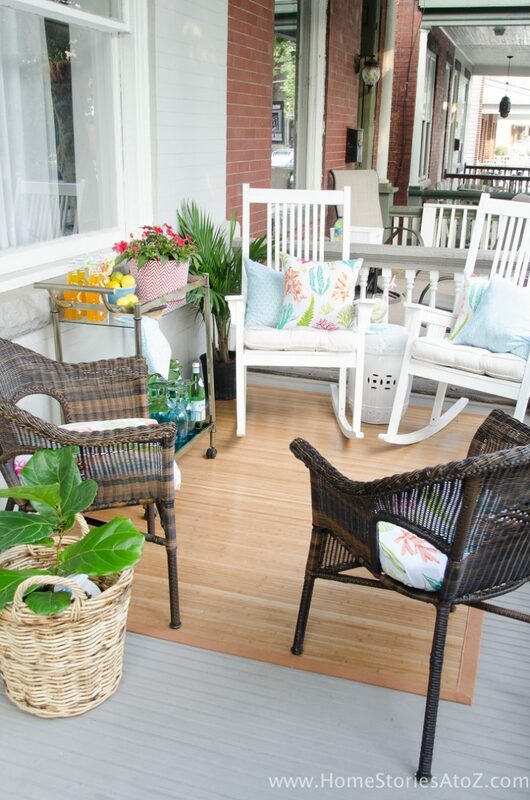 Look for durable and easy-to-clean porch furniture that will take your through all seasons. White or black rockers and faux wicker furniture are wonderful options. Galvanized buckets, vintage olive pails, and other unexpected containers make wonderful planters for your spring plants. 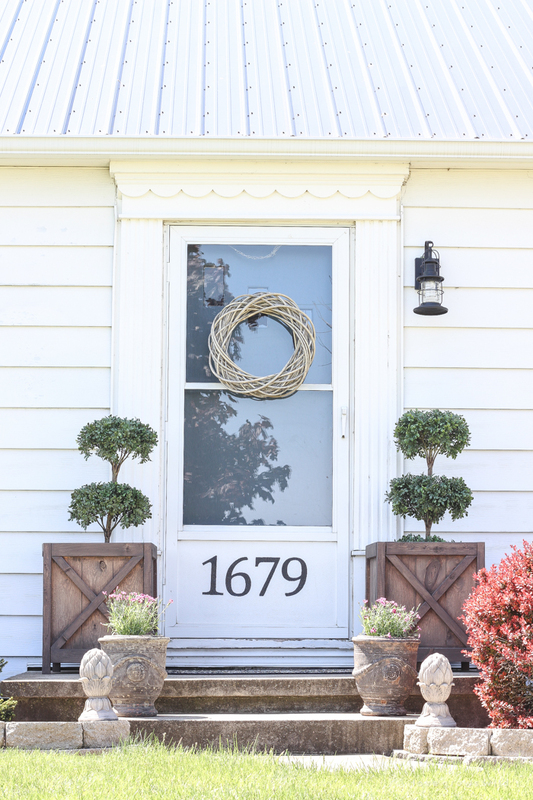 Look for ways to add the unexpected in decorating to create character in your curb appeal. 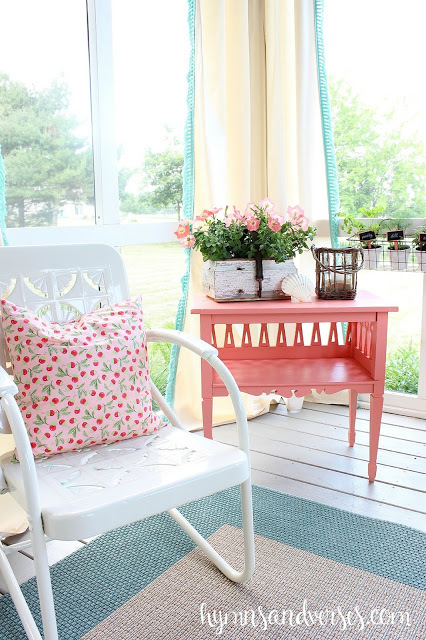 Spring is a great time to incorporate some floral prints on the porch! 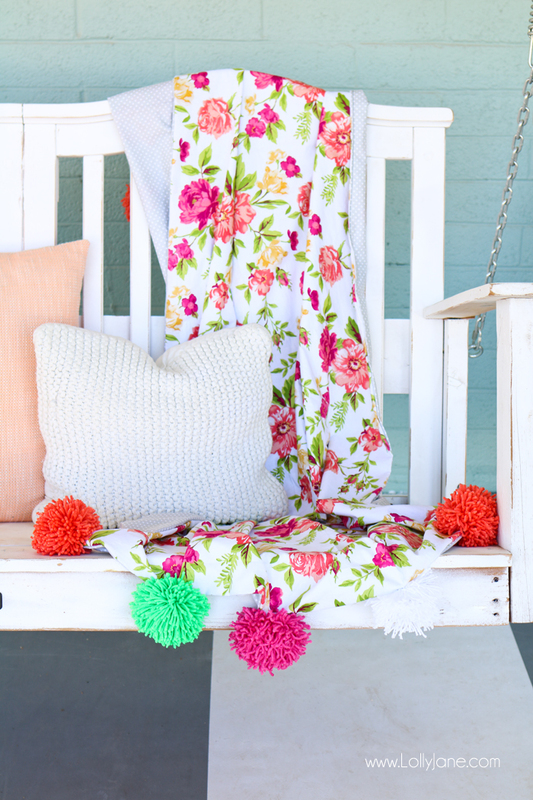 Love this affordable DIY pom-pom throw by Lolly Jane. 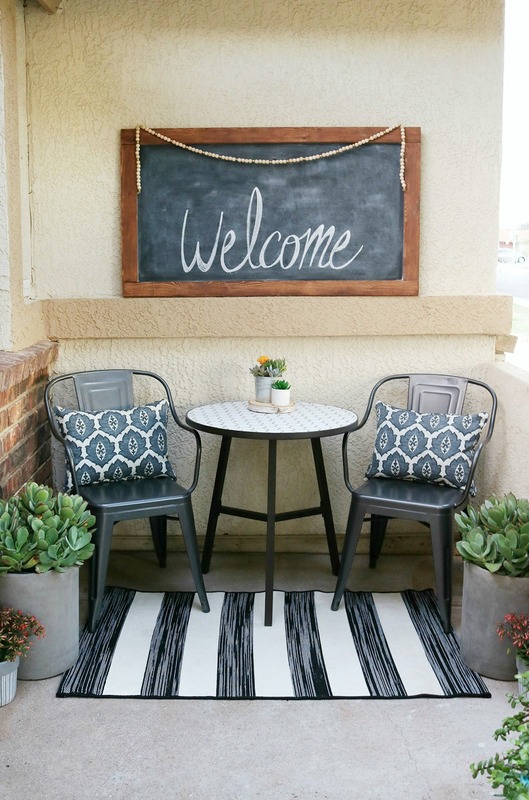 Keeping your furniture in classic black and white provides a crisp, modern, and fresh backdrop for your spring porch. 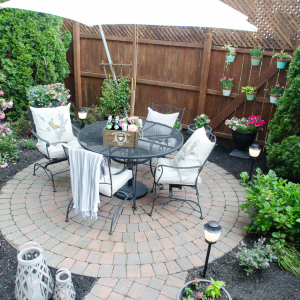 It looks fantastic with greenery and pops with splashes of color! 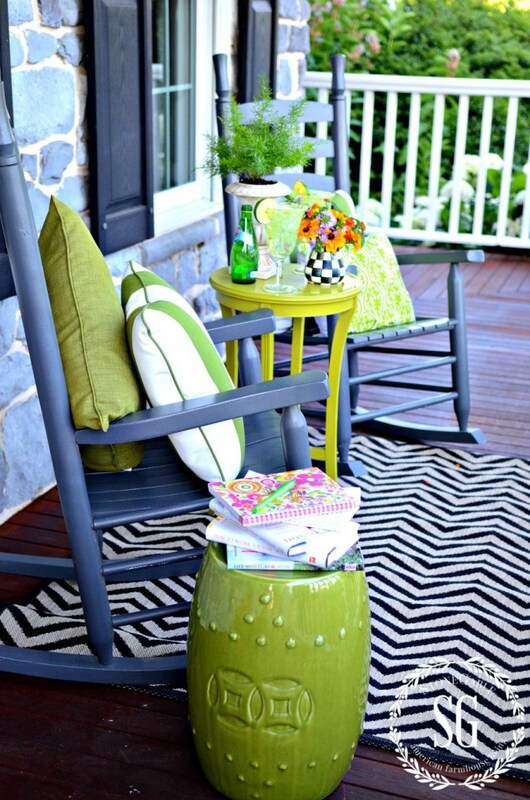 Think outside the box when planning your porch decor! 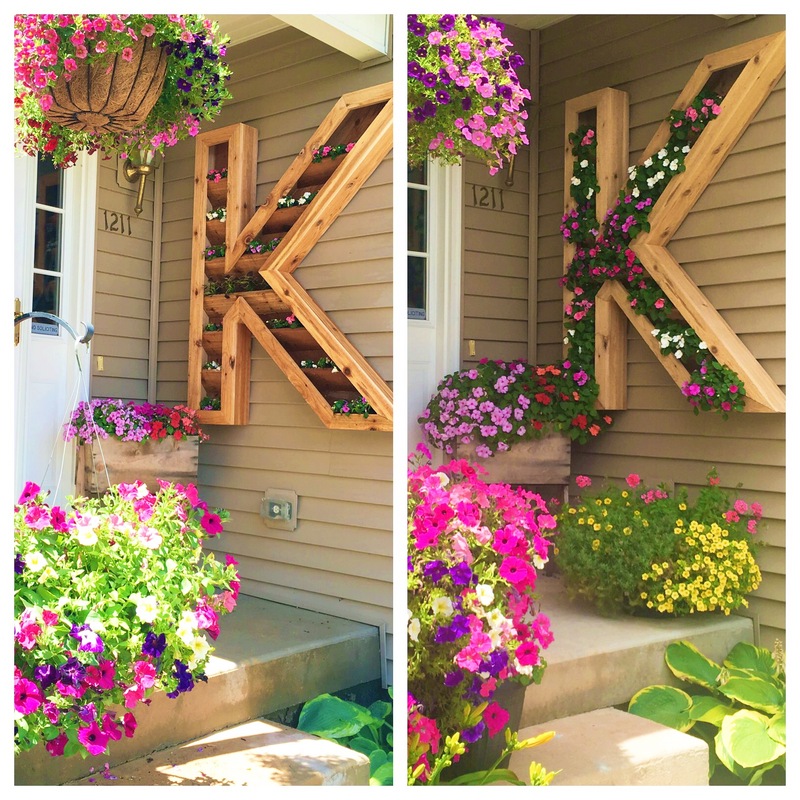 This cedar monogram letter planter creates an unexpected and gorgeous focal point on a small front porch. 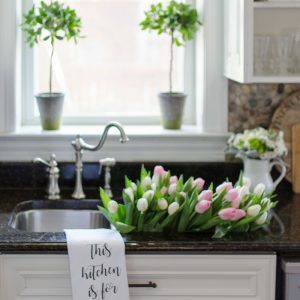 Looking for more spring decorating ideas? Check out the related posts below! Isn’t that a fun idea? I love that one too. Thanks for stopping by! Thanks for sharing! 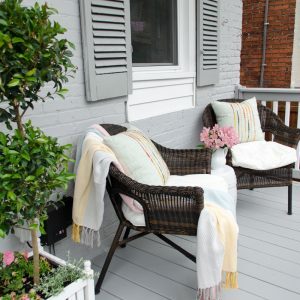 These spring porches are all so beautiful! Thanks for including my porch in this amazing line-up, Beth! I love them all.